Cover illustration for The Underground Railroad National Park Handbook, Jerry Pinkney, 1996. ©1996 Jerry Pinkney Studio. All rights reserved. Unbeknownst to most Atlanta residents, the renowned High Museum of Art is the leading art museum in the Southeastern U.S. and was ranked in the top 100 museums in the world based on volume of visitors last year. Fortunately for students, this hotspot of quality aestheticism sits in Tech’s backyard; the complex is only a short, ten-minute walk from campus. While the museum is known for its permanent collection of more than 11,000 works of art, including pieces ranging from rare and classic paintings of the Renaissance age to contemporary sculptures, the High Museum currently has three traveling exhibits on display—all of which deserve the attention of any self-respecting art lover. The High’s largest temporary exhibit is Witness: The Art of Jerry Pinkney. Known for his illustrations of children’s books and commissions from a variety of clients, Jerry Pinkney hails from Pennsylvania and was awarded the 2010 Caldecott Medal for U.S. picture book illustration. Pinkney also holds numerous awards and honors for his outstanding contributions to the field of children’s literature, and this is the first exhibition to provide an overview of his career as an artist. 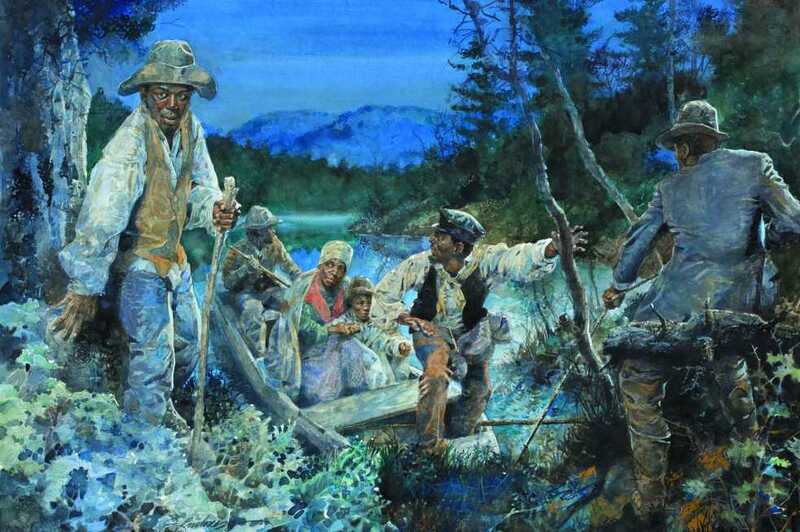 Pinkney began his artistic career of recreating history through painted scenes, such as those of African-American slavery and segregation. Using pencil, pen and ink, colored pencil and watercolor, his works are known for their vibrancy and realistic portrayal of scenes and their characters. Later, during his first years as a father, Pinkney began to transition his works to children’s books, both in writing and illustration. 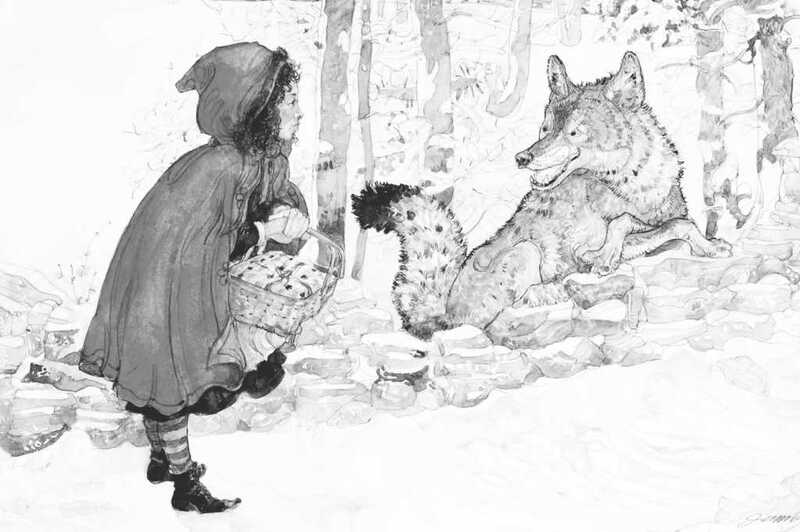 From Aesop’s fables to Uncle Remus’ stories to his own written tales, Pinkney made the pictures animated and alive through his unique style. The High exhibition houses more than 140 of his works, from initial sketches to the final products. Illustration from Little Red Riding Hood, Jerry Pinkney, 2007. ©2007 Jerry Pinkney Studio. All rights reserved. Another of the High’s current exhibits, The Bunnen Collection of Photography, features a selection of 120 prints donated to the Museum by photographer and philanthropist Lucinda W. Bunnen. Beginning with a purchase of 26 Clarence Laughlin photographs, Bunnen’s collecting focused on current work by living photographers—from internationally renowned figures to local and regional artists. The collection was first put on exhibition at the High in 1983 and has grown ever since. The exhibition currently on view includes some of the High’s rarest and most valuable photographs, including works by Ansel Adam, Chuck Close, and Bunnen herself. The modern style of the Bunnen Collection is most representative of the Early Twentieth-Century American Art category, where artists were inspired by a range of events in their attempts to change the ways in which the world was depicted. Many modernist artists developed a style and vocabulary that emphasized form, color and geometric composition. The dynamics of urban culture is often contrasted with rural lifestyle, while other artists focused on the symbolism of nature. Overall, the modern style that can be seen so evidently in the Bunnen Collection was, and is, a cultural attitude that was employed in an effort to turn away from the past and look to the future. The third temporary exhibition at the High Museum is called American Encounters: Genre Painting and Everyday Life. Though part of a relatively small collection, these paintings of everyday life were completed in the mid-nineteenth century. The culture of the United States during this time frame can be summed up in one word: tumult. The confusion of life in America during the mid-nineteenth century was due mainly to the Civil War but also to rapid economic development and urbanization. The paintings of the American Encounters exhibition factor this delicate balance of the fraying social order into each scene through the use of popular stereotypes, humor, design and everyday drama. Adding to the aesthetic integrity of the exhibit, some of these paintings are on loan from what could be considered the most famous art museum in the world: the Louvre. While it may seem that the High Museum is already filled to capacity with its permanent collection and the three temporary exhibitions, two more exhibits will open this Sunday, Nov. 3: Go West: Art of the American Frontier and Paris on Peachtree: The Art of the Louvre’s Tuileries Gardens. With every room of the museum packed with famous artwork, the next few weeks will be a great time to visit the High. Students get in for a relatively low price, making this an inexpensive date opportunity or perfect indoors event for a cold weekend afternoon.